...call for solutions that meet your expectations. PMR Competitive Intelligence service provides you with detailed information about the competitive climate of the markets you wish to do business in. This service includes identifying major market players and their market shares, researching trends and changes in the market structure, and understanding your competitive strengths and potential barriers to market entry. More elaborated marketing solutions and better targeted sales strategies help you boost sales and improve your overall business results. 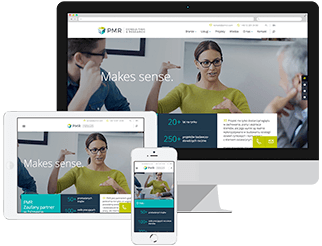 PMR consultants keep you up with the fast-changing dynamics of customer habits and demands by investigating what path the market is going to take tomorrow. Sourcing is a complex process that requires a comprehensive analysis of a company’s cost base and identification of areas where cost optimisation activities will provide the greatest benefit. The purpose of this study is to save our clients time and money by providing an informed, objective assessment of their chances of succeeding in a given market. PMR Merger and Acquisition (M&A) services are aimed at companies who have already decided to enter or expand into the CEE, SEE or CIS regions by taking over existing business, or those who are considering acquisition and need support in verifying and executing their plans. We also help those companies looking to secure financial or strategic investment. Using business forecasts, prepared by PMR together with comments concerning the risks associated with various market trends affecting those forecasts, our clients gain a powerful tool supporting them to accurately plan their actions, taking into account various perspectives.